You're sure to find the composite deck materials you need to get your next job done. Our Vault line offers lightweight durability, making it easy to work with on the job site. Our Heritage decking line offers on-trend distressed looking boards - check out the new for 2017 Smokehouse and Riverhouse color swatches. Vault Decking: Strong. Lightweight. Stable. Heritage Decking: Bring the inside out with this unique decking that adds warmth and rustic beauty to your outdoor living space. 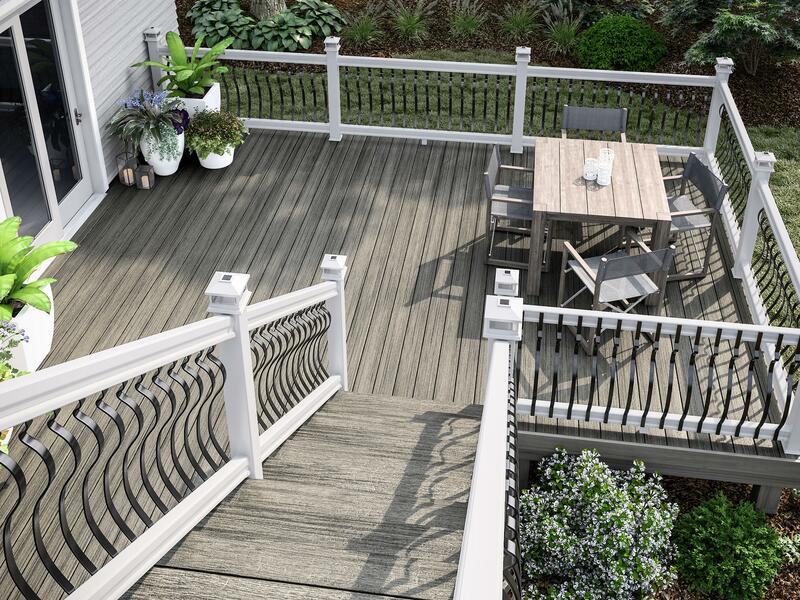 Vista Decking: Offers the look of exotic hardwoods without the maintenance. Frontier Decking: Non-variegated deck board for those who choose a more traditional look for their outdoor living space. 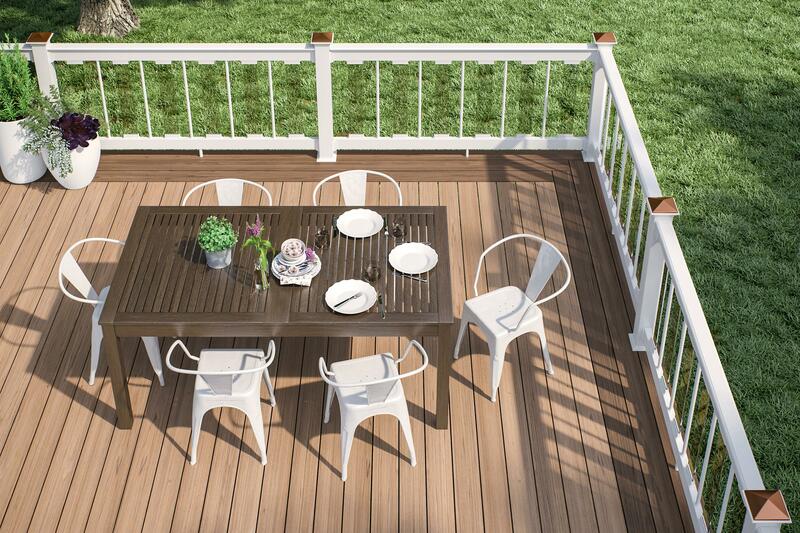 Classic Decking: The ideal blend of value and performance. Fascia: Conceal your decking understructure. Porch Flooring: Low-maintenance porch flooring is the latest addition to the Deckorators lineup. Stair Treads: Safety and style.